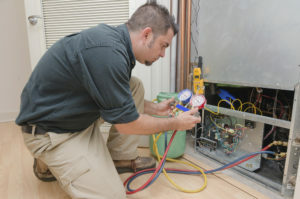 A family owned business that’s been making home comfort easier for people since 1999, Volunteer Heating & Cooling puts customers favoring long-term relationships over making the big sale and moving on. We treat everyone exactly how we would want to be treated – with honesty, fairness and the best value for their money. As an American Standard Customer Care™ Dealer, our team has a total commitment to excellence in every aspect of the business – from helping you select the system you need, to installation and ongoing service and support. The Customer Care™ designation is your assurance that you have found a heating and air conditioning dealer that you can count on for a pleasant, productive experience in reaching your home comfort goals. For worry-free quality and service at a price that makes sense, look to Volunteer Heating & Cooling.